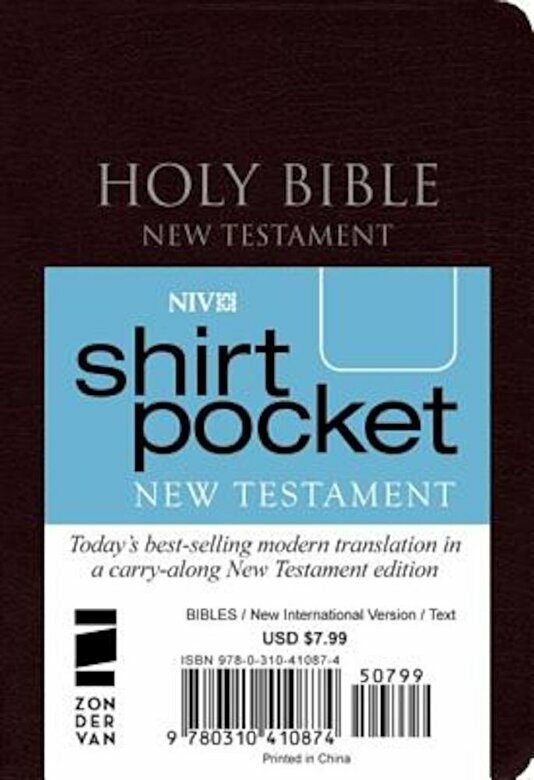 - The smallest NIV pocket-size New Testament available--in clear, readable 6-point type. - Complete NIV text of the New Testament, with all translators' footnotes and sectional headings. - Getting to Know Jesus, Promises from the Bible, and Perspectives from the Bible sections. - Convenient carry-along size. - Double-column format.